in Europe and America for a hundred years. provided that their needs are understood and met. 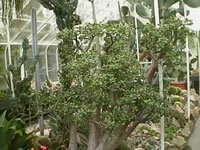 Jade plants should be grown in very bright sunlight and low humidity. so if your plant is accustomed to dimmer light, be sure to move it into the sun in gradual stages. 75°-80°F during the day. They will, however, tolerate temperatures down to 40°F. mixed 50/50 with coarse builders sand, with a scoop of bone meal added. The optimum soil Ph for growing Jade Plants is 6.5.
they have the ability to store water in their leaves, stems and roots. 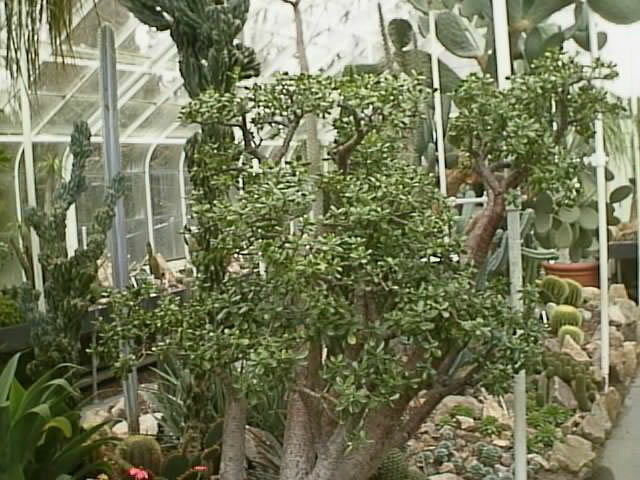 Jade plants have an active and a dormant growing cycle. Watering and feeding should be determined by this growing cycle. During the spring and summer months keep the soil slightly moist. Water liberally (a good soaking) once a week, then allow the potting mix to dry out completely before watering again. Immediately remove any excess water from pot saucer. Feed your Jade plant with a 10-20-10 or 5-10-5 ratio soluble plant fertilizer every two weeks. 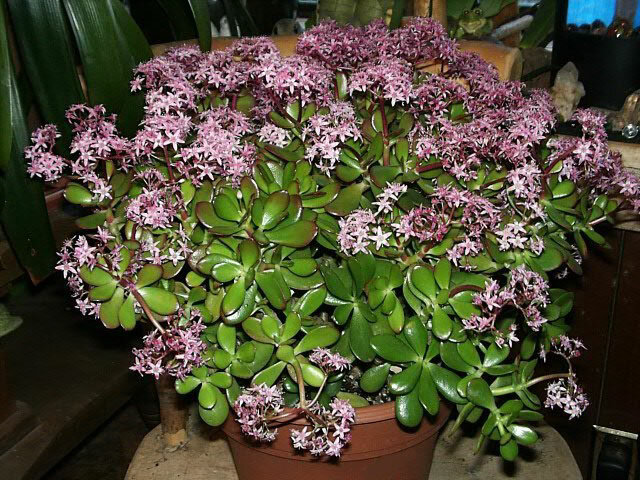 Keep your Jade Plant dry during the winter months while it is in dormancy. Do not fertilize Jades from November through the end of March! usually around Christmas in the northern hemisphere. Their blooming is triggered by the natural shortening of the daylight hours. it will more than likely fail to bloom for you. Sometime in September or early October, move your Jade plants, Christmas Cactus and last years Poinsettia into their 'no night light' environment. Find a suitable area that seldom has the lights on at night but receives good, natural light during the day. Check on them now and then to be sure they aren't stressed from lack of, or from excess water.